Happy Friday, friends! Today here in Wisconsin we were dumped on (again) by Jack Frost and his team. Good thing for my boys, who were thrilled when school was cancelled. Not as good for mom, since her plans for the day got scrapped. But that gets me thinking. How often do our plans actually turn out the way we want them to? How often does our day fall into place, just as we scripted, exactly how we hoped? And if that uncertainty applies to one day, doesn't it also mean our weeks are uncertain? Our months? Or years? How about our lives? When I was young, like many young girls I dreamed of having children one day. I collected Flower Girl dolls -- which were a cheaper knockoff of the coveted Cabbage Patch Kid dolls! I saved my own money to buy them and named them, taking care of them as if they were real. I was 11 or 12 at my peak of interest in dolls. I also loved real babies and did lots of babysitting. I was told I was good with children and knew how to relate to them. I longed to be a mom. I knew I was too young, but all through high school I fantasized about it and could hardly wait. I imagined my babies -- always girls (LOL) -- snuggling and laughing with me in endless bliss. I imagined I would dress them in adorable outfits, strolling them through malls and parks -- where strangers couldn't help but stop us to say, "How cute!" That's how I imagined parenthood! I can see now that I put a heavy burden on my future children to bring me joy and attention. I'm grateful that God had better plans for me, and that my first baby didn't come until I finished college and got married. Almost immediately after our May 1997 wedding, we decided to start trying. It didn't even take a month. My plans were falling right into place! I wrote a journal during this first pregnancy. When I read through it now, I notice an underlying theme of "me, me, me." The pregnancy was all about me, and I dreamed of how a baby would enhance my life. But pregnancy also opened up a spiritual window for me: I started praying again after having been "agnostic" for years. I knew something miraculous had happened to me when I got pregnant. There wasn't a child, and then there was! So although this new-found faith was a positive thing, I placed my little miracle baby up on a pedestal. My expectations for motherhood were even greater now -- if just being pregnant could change me so much, imagine when the baby is born! 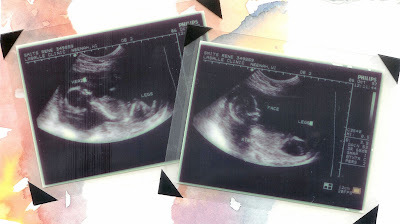 From my pregnancy journal: "I am a mommy now. I'm somebody's mommy. There is a person growing inside me who didn't exist 100 days ago. I have a child, and from the moment we conceived this child, I became so much more important than I ever was before. We are bonded forever." I became consumed with pregnancy and delivery, devouring books and journaling obsessively. Instead of Lamaze, Todd and I took a class called The Bradley Method of Natural Childbirth. I didn't think too much about being a mother; I "knew" that would just come naturally. Four months into the pregnancy, I had a little scare with cramps and spotting. When I went to the clinic, they did an ultrasound and the baby looked fine. Todd and I were thrilled to see our real, little person (who had his legs crossed so we didn't know he was a boy)! In my journal I wrote: "I'm so grateful that nothing was wrong with our baby. This baby has already brought so much happiness to our life -- and we can't wait to meet Noah or Jasmine face-to-face." Expectations. Plans. A vision. A dream. Please check back tomorrow for Part 2 of my story.